I have had my fair share of site tours around food manufacturing sites over the years. I never tire of seeing new sites and I am always fascinated by the developments and new methods that they are introducing. Despite the opportunities of automating production, a number of businesses are still adopting 'hands on' methods, in order to still achieve authenticity in their products. Délifrance’ are no exception, as they look to look after their artisan roots. 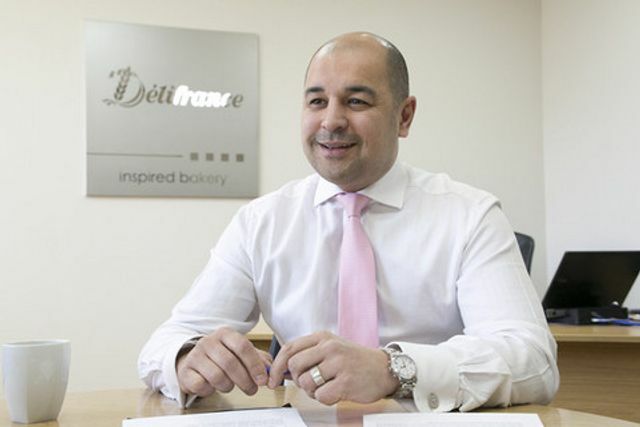 Délifrance’s Frank Bird is a man of many talents. As operations director at the bakery company’s Southall site in west London, Bird also looks after health and safety, quality control and new product development.